You might not remember them much, but I certainly remember the "Ralph and Sam" cartoons. You know, with the wolf and guard dog. The wolf tries to steal the sheep and the guard dog keeps stopping him. They were made by Chuck Jones for Warner Brothers. They were basically like his Roadrunner cartoons, but without the speed. 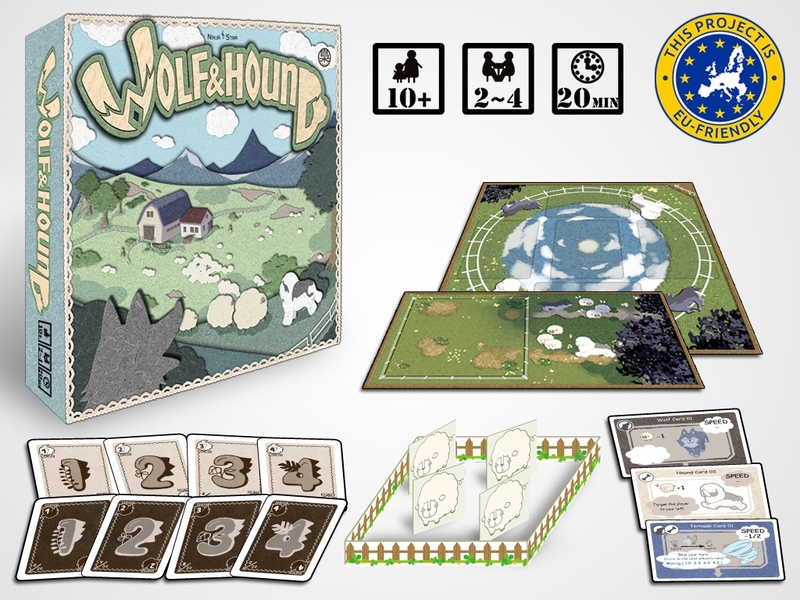 Well, now you can protect your own flock of sheep with Wolf & Hound, a new board game up on Kickstarter (though I doubt there's as many sheep and wolf outfits and much less use of dynamite). In the game, you and a partner play against another player and their partner. You are trying to keep your sheep safe while sending the wolves to go get your opponent's. If your sheep do run off, send out your faithful hound to get them back again. The game ends when one player has no more sheep. The campaign is up and running now and is set to go for the next 29 days.